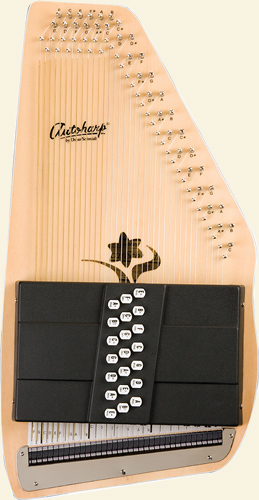 This 21-chord Appalachian Autoharp plays in eleven different keys and can be played over an amplifier. The traditional button configuration makes it easy to learn and to continue to play for years to come. Suggested as the ideal bluegrass autoharp. “The Oscar Schmidt OS45C and OS45CE 21 chord autoharp is a great mid-level autoharp that combines the cost saving maple construction and beautiful tones and sounds from spruce wood. The Oscar Schmidt OS45C and OS45CE have a unique sound hole opening, unlike any other Oscar Schmidt autoharps. The Oscar Schmidt OS45CE is the acoustic and electric version of the OS45C. The body of this autoharp is made from maple and spruce woods with a glossy finish. 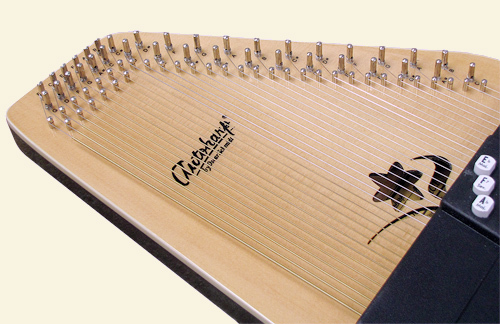 The face of the autoharp is made from select spruce, which is a laminated sheet of spruce wood. The backside of the Oscar Schmidt OS45C and OS45CE features a beautiful sunburst design. 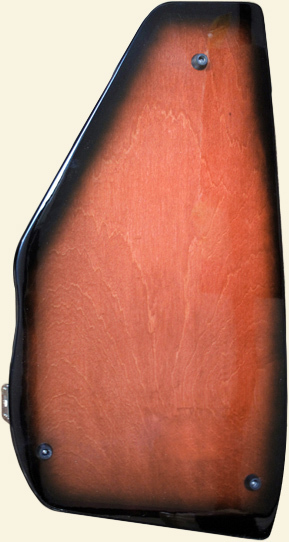 The Oscar Schmidt autoharps feature a rock maple frame that goes around the entire instrument. The tuning pegs are contained in a 10 ply rock maple block that will help keep the pegs in place. The sound cavity on the Oscar Schmidt line of autoharp is large and will produce some great sounds. As I said Oscar Schmidt OS45CE is the acoustic and electric version of the OS45C. The OS45CE features a passive pickup. The great aspect of passive pickups is there is no need for a power source and passive pickups will give you a more organic sound. Previous electric Oscar Schmidt autoharps featured active pickups and required a built in battery tray. Also, Oscar Schmidt removed the built in equalizer in their electric autoharps. They did this so you can choose the equalizer of your choice. Also, Oscar Schmidt made a few more improvements to their line of autoharps. There has been thicker felt added to the bottom of the chord bars. This allows the buttons to not become flush against the chord bar cover. Also, Oscar Schmidt has added felt to the underside of the chord bar cover to help remove any noise the chord bars may make when they hit the cover. Currently, the AutoharpStore.com is running a few promotions. 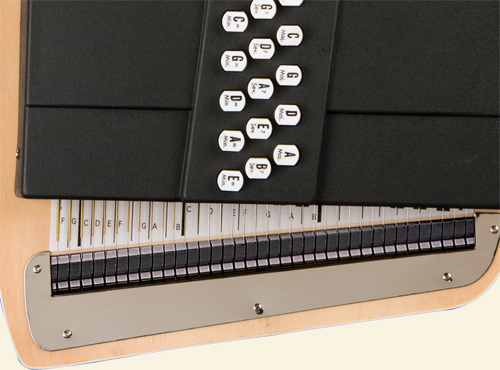 We will ship your autoharp for a flat rate of $20 to anywhere within the continental US. Also, we are including a 50% off gig bag with every purchase of an Oscar Schmidt autoharp. If you do not want the gig back, you can get $30 off the purchase of a semi-hardshell case or hardshell case. 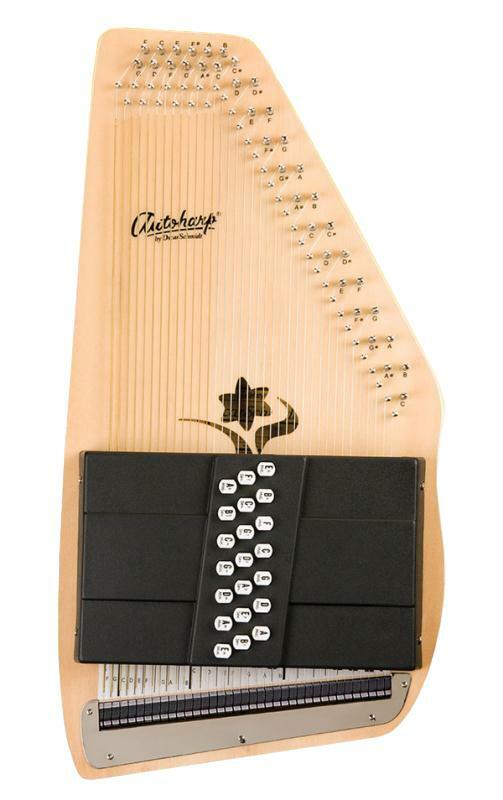 We are also including a free digital tuner with every purchase of an autoharp. You can also upgrade to the 3 in 1 chromatic tuner with built-in metronome and tone generator. 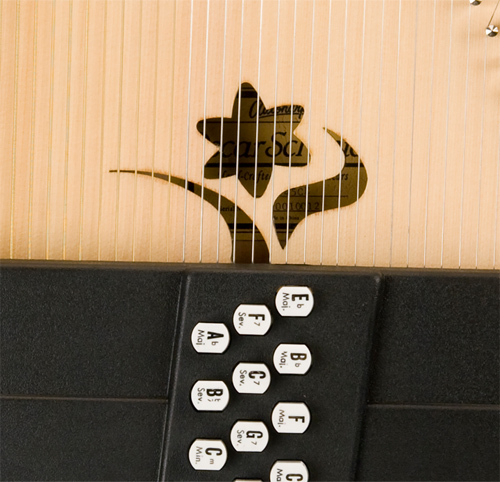 This is the only Oscar Schmidt autoharp featuring a beautiful flower shaped sound hole, creating an elegant look to a classic. 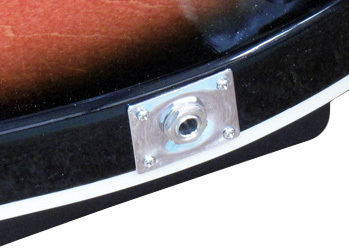 Additionally, the sound hole design is made only for looks and it won't affect the sound of the music. The gloss finish not only provides an added layer of protection, it also affects the vibrations, creating a slightly lower sound. From the spruce top to the maple back, you can be assured that this autoharp will last. It is built for added strength. 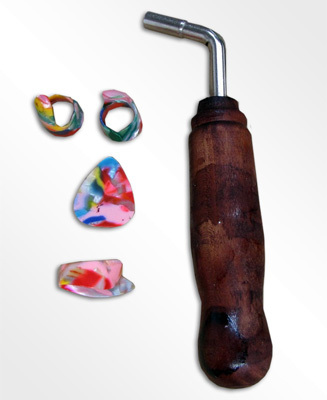 The select spruce, which is a laminated sheet of spruce wood, resists splitting and cracking. The lengthwise grains are straight, close and dense which provide excellent support. The OS45CE features a built in passive pickup, which allows it to be plugged into an amp while delivering a more organic sound. Invented in 1881 and patented in 1882, the Autoharp has had a remarkable hundred-year history. After being proclaimed “the nation’s favorite musical instrument” and then nearly fading into obscurity, the Autoharp has taken its manufactures on an endless roller coaster of ups and downs. As a nineteenth-century parlor room favorite, it was finally replaced in popularity by the phonograph.The Autoharp did not die. It retreated to the mountains where it underwent a metamorphosis from a parlor instrument to a folk instrument. From there it came out into our schools to become a classroom feature and finally, has emerged as a popular instrument for the serious musician.